JS Iscon Platinum is the residential project by JP Iscon Group, which is located in Bopal, Ahmedabad. 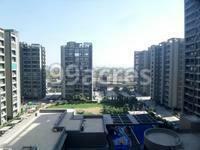 It offers 3, 4 and 5 BHK apartments that has a saleable area between 1985-5700 sq. ft. Several financial institutions such as Axis Bank, Citi Bank, State Bank of India and ICICI Bank are available to provide financial support to the potential customers. To provide a comfortable and healthy stay to the residents, the project is equipped with several world-class amenities such as aerobics center, basketball court, squash court, swimming pool, cafeteria, jogging track and more. Bopal is an emerging location and situated in western part of Ahmedabad. Several posh localities such as satellite, Navrangpura and Thaltej are situated in close vicinity. In last 5 years Bopal has developed a lot in terms of real-estate, several builders are launching projects in Bopal due to availability of huge land. The main reason for the expansion is the improved infrastructure such as roads, transportation and existence of outstanding civic amenities in close proximity. The closest airport is Sardar Vallabh Bahi International Airport which is located at a distance of around 18 KM whereas nearest railway station is Vastrapur Railway station. Situated in the western part of India, Ahmedabad is one of the most developed cities of Gujarat. It has emerged as an ultra-advanced commercial hub and several other manufacturing units are also situated here. It is known as one of the safest cities to live in that has well-developed infrastructure and civic amenities. Various renowned builders are launching residential as well as commercial projects in the city. Ahmedabad is well-connected to several other major cities such as Mumbai, Delhi and Jaipur. Where is JP Iscon Platinum located? Bopal, a prime residential locality for house seekers in SG Highway & Surroundings. What is the area of apartments in JP Iscon Platinum? The area of apartments offered in the project ranges from 1985.0 sqft to 5700.0 sqft. What is the 3 bedroom size in JP Iscon Platinum?  The area of 3BHK units in the project varies from 1985.0 sqft to 2685.0 sqft. 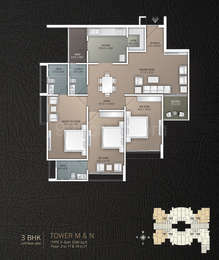 How much is area of 4bhk in JP Iscon Platinum? 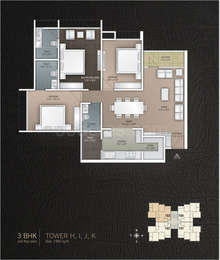 The area of 4BHK units in the project varies from 2395.0 sqft to 4815.0 sqft. What is total size of JP Iscon Platinum?The project is built over an area of 11.08 Acres. How many units are there in JP Iscon Platinum?The project offers a total of 1036 units. ISCON?s prestigious clientele swears by its superior services, eye for detail and tradition of integrated execution. The highly esteemed Tata Group has conferred an award on it for ?Superior Quality Timely Completion of Projects?. The JP ISCON Group is currently on an exponential construction drive, building Townships, Malls, Residential Complexes and Commercial Spaces in properties it has acquired in prime locations around the country. I hope the builder hasnt made any compromise with regards to safety features as I will shift here with my parents and wife. Please share the list of approved banks for JP Iscon Platinum. Hi Karunesh, for this project, the builder has made various safety related provisions. The main entrance along with other important points are under CCTV cameras 24x7 surveillance. Security guards are deployed at the entry/exit points and they have access to features like Intercom for confirming visitors entry with societys residents. A detailed register is also maintained by the guards. Various leading financial institutions such as Axis Bank, Citi Bank, State Bank of India, ICICI Bank and HDFC Home Loans are offering the option to avail home loan. I have a budget of around Rs 80 lakh and willing to invest in a property for a period of 3-4 years. Could somebody share the appreciation potential of this project? Hi Hardik, this is a Bopal based project and is expected to be completed in Dec 2018. Since its launch, it has witnessed appreciation of around 9.78% and it is expected to surge up to a good extent due to the demanding nature of Bopal. The area offers plethora of competitively priced properties with good connectivity and developed social infrastructure due to which the area has gathered positive trend in property rates in the first quarter of 2018. Therefore, if you invest here, chances are quite high that you may witness property price flourishing here atleast for a period of 3-4 years.